The Tishomingo County Historical & Genealogical Society, a private, non-profit 501(c)(3) organization that seeks to preserve Burnsville's One-Room Colored School and promote the history of African-Americans living in Burnsville and Tishomingo County area of Mississippi. The Society is a membership organization, open to all, and relies on membership fees, gifts and donations, and grants from private foundations for its many preservation projects for the betterment of Tishomingo County. 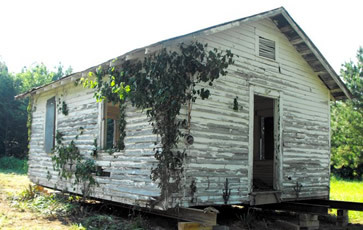 The Society formed a committee of concerned citizens to restore and preserve the Burnsville Colored School that was once a one room schoolhouse for African-American children in the city of Burnsville Mississippi. 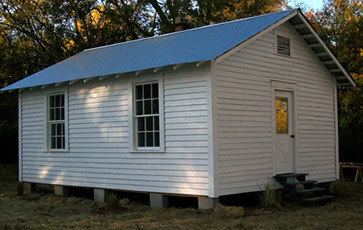 The School is listed is registered as a Mississippi Historic Landmark. The segregated school never had an official name. In official school records, the school was referred to as the "Colored School" or the "Black School." In keeping with the accuracy of the school's history, the majority of the membership voted to retain its original name. ~ To protect and preserve the structural integrity of the school building and the land it is on, not only because it is a part of Mississippi's history but also because there are so few one-room schools remaining in the United States today. ~ To secure funds to restore the school to its original condition and use it as an educational museum to house relevant memorabilia such as books, papers, photographs, and artifacts pertaining to the history of area African Americans. The school has now been completed restored and is open to visitors, however we still seek funds to help maintain the building. Download donation form here or click below to make a secure donation to the Tishomingo County Archives & History Museum via PayPal.